Needless to say, India earned freedom at the expense of numerous sacrifices which incurred overwhelming loss and inflicted incurable pain to its people. The biggest sacrifice that Mother India made was giving up a part of her being, which is an independent nation today. The partition of India in 1947, one of the greatest migrations in the history of mankind, left millions of wounds behind in time warp on both sides of the border. The horrors and ordeals of the partition are timeless bitter memories which are being preserved in different shapes and formats, abstract and concrete, by India’s Partition Museum in Amritsar. 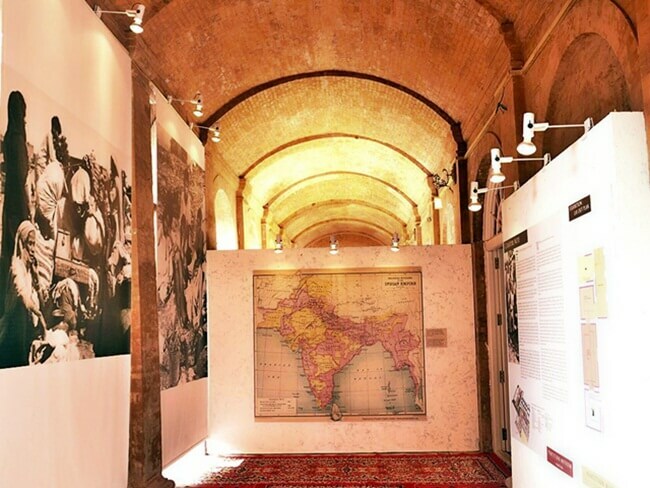 The first of its kind in India, the Partition Museum showcases rare exhibits of the undivided colonial India, including personal artifacts of the survivors of the 1947 partition. The recorded oral stories and experiences of those who lived through the pains during and after the partition are on display in the museum. A belated tribute to the victims of the bloodiest migration of the 20th century, it helps memorialize what continues to shape India, what schoolbooks are devoid of, and what Indian millennials are unaware of. Founded by the Arts and Cultural Heritage Trust, the Partition Museum of India is the first such museum in the world. A must-visit tourist place in Punjab, the museum is part of the recently inaugurated Heritage Street from the Golden Temple to the Town Hall in Amritsar. The first phase of the museum opened to the public in October 2016. The second and last phase will be completed before August 15, 2017 and inaugurated on the occasion of the 70th year of the 1947 Partition. Punjab and Bengal were the worst victims of the partition and the epicenters of violence. These two states suffered major blows of violence, atrocity, hunger and disease after the line of division was sketched on the map of undivided India. The museum’s collection of personal articles, which forms the legacy of a bygone era, is mostly from Bengal and Punjab. That’s why the Partition Museum in Punjab is being touted as a people’s museum and a physical memorial. The Partition Museum of India portrays intimate stories of loss, separation, bereavement, pain, rootlessness and existential crisis through its collection of exhibits. For instance, two articles in the collection belong to a betrothed couple who got separated in the turmoil of the partition. Accidentally, they found each other in a refugee camp in Amritsar. They tied their nuptial knot in 1948. In another instance, a Punjabi businessman’s wife and daughter narrowly escaped the violence in Peshwar (in Pakistan) and reached a refugees camp for Hindus and Sikhs. The only things they managed to keep with them were wedding jewelry and a radio. The radio is on display at the Partition Museum in Amritsar. The stories of dismay, distress, disappointment, and depression in the refugee camps on both sides of the border have also found eloquence in paintings at the museum. The paintings by artist Sardari Lal Parasher, one of the survivors and a camp commander at one of the refugee camps, have brought those unheard stories alive. His sketches depict the gloom and melancholy he had experienced at the camp. The Partition Museum of India offers inspirational stories of bravery and courage alongside the heart-rending stories of partition. The Gallery of Hope at the museum tells the stories of those who survived the onslaughts of partition and rebuilt their fortune almost out of nothing in the post-independence era. One such inspiring story of bravery is that of the Manjul Family that gritted their teeth to survive with a small bicycle business and ended up establishing Hero Honda, a reputed motorcycle brand in India, after having left everything behind in Pakistan. Among the tourist attractions of Punjab, Amritsar’s Partition Museum is undoubtedly next to the Jallianwala Bagh Memorial in terms of historical significance. This museum of memories, some painful while some inspiring, will be continuing to make the next generations learn what Mother India and her children went through before, during and after the partition in 1947. Travel Beats is a digital publication for Indian Diaspora by Indian Eagle, a trusted travel partner of Indians in USA. Indian Eagle books flight tickets to India from USA at the best prices. The best deals for flights to Delhi, Amritsar and other Indian cities are available at Indian Eagle.